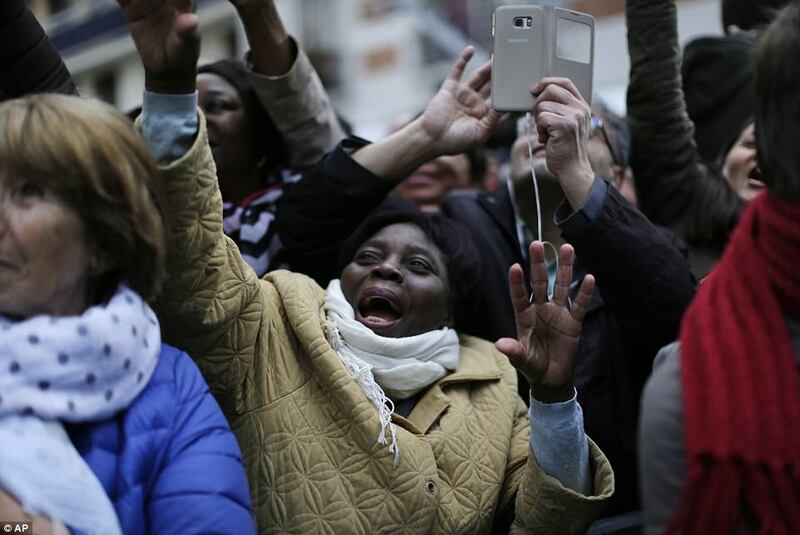 France has chosen to go quietly into the cold, dark night. Instead of rising up against the jihad and islamization of France, they have chosen to submit to the most brutal ideology on the face of the earth. They voted for submission over freedom. France is finished. 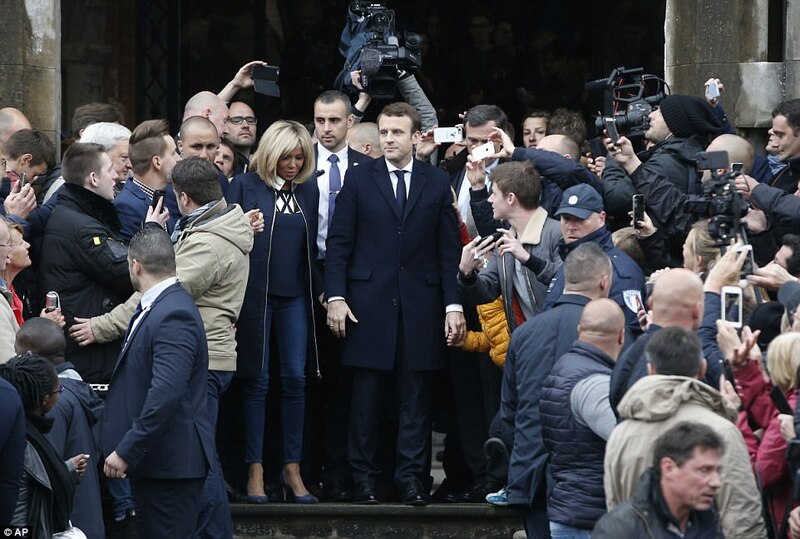 The passionately pro-EU politician Emmanuel Macron was tonight elected as France’s youngest ever president with a projected landslide of 65.5 per cent. 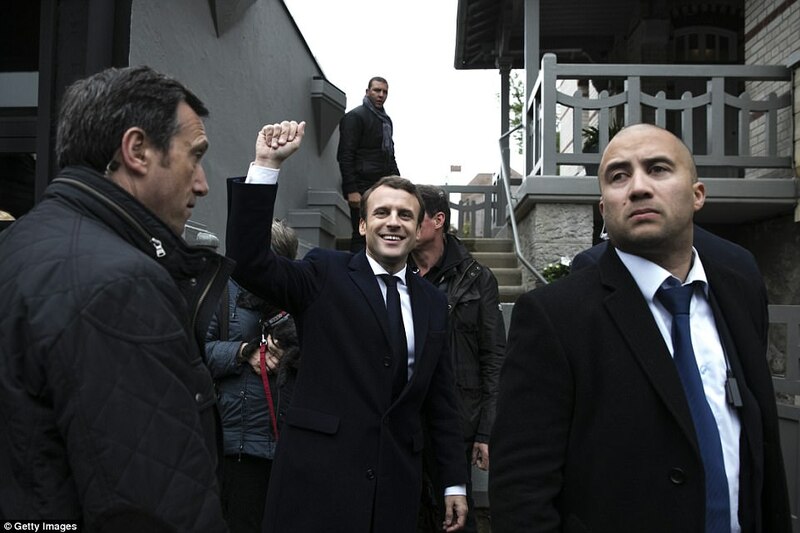 Macron, 39, beat far-right National Front (FN) candidate Marine Le Pen, 48, in an election that will have widespread repercussions for the future of Europe. An official preliminary result released at 8pm local time showed the 65.5 per cent vote for Mr Macron, meaning a clear victory over Le Pen, on 34.5 per cent. Just 15 minutes after the exit polls were announced, Le Pen revealed she phoned Macron to ‘congratulate’ him on his election victory. She had hoped that the surprise election of populist firebrand Donald Trump in America, and the Brexit result in the UK, would favour her hardline opposition to the EU, globalisation and immigration. 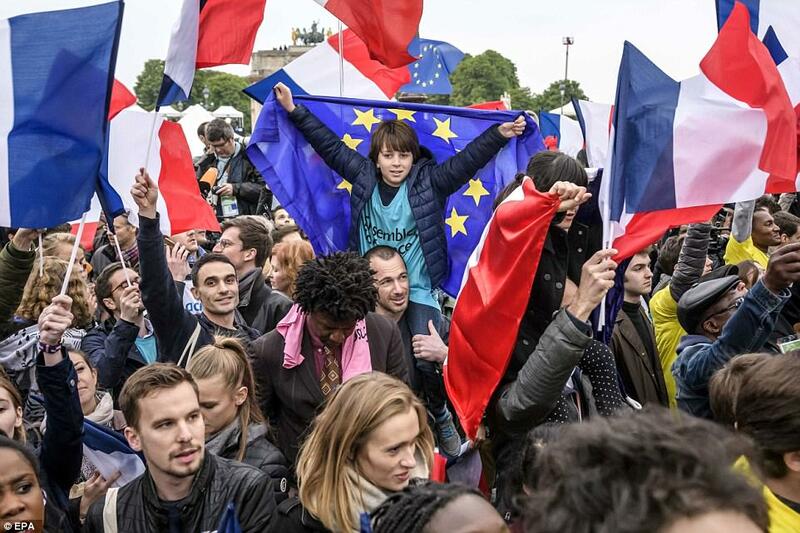 But instead it was Macron who was preparing for a victory celebration in front of crowds of supporters outside the Louvre in central Paris. British Prime Minister Theresa May ‘warmly congratulated’ Macron on his victory in the French presidential race and said ‘we look forward to working with the new president on a wide range of shared priorities’, Downing Street said. Mrs May’s message comes after Macron described Britain’s exit from the EU as ‘a crime’, and revealed he favours a so called ‘Hard Brexit’ which will see the UK excluded from Europe’s single market. Despite this he and his wife, Brigitte, 64, have admitted that they have strong personal links with Britain, and often holiday in cities such as London and Bristol. Mrs Macron, who has three grown-up children from a first marriage, will now become first lady of France when the couple move into the Elysee Palace following an inauguration ceremony later this month. Participation in the election by by 7pm was 74 per cent, a relatively low turnout compared to previous elections. 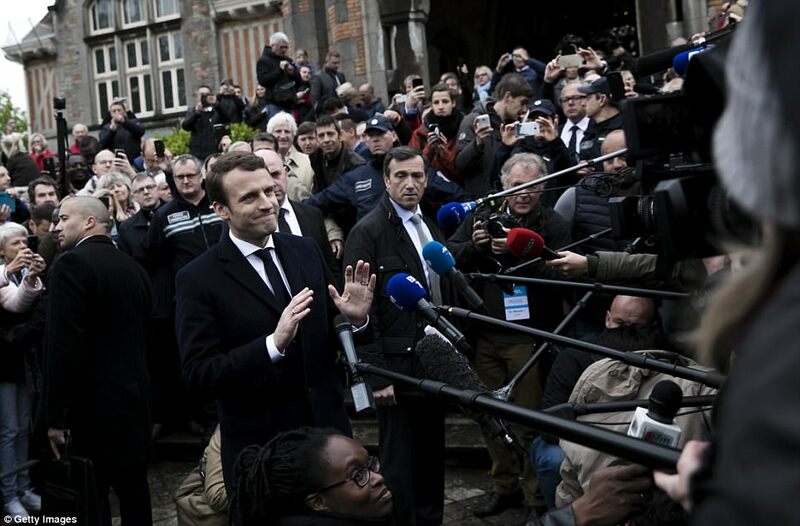 The Macrons today voted in the town hall in Le Touquet, on the English Channelcoast, where they share a beachside home with their Argentine Mastiff dog, Figaro. Le Pen meanwhile voted in Henin-Beaumont, the former coalmining town just 75 miles from Le Touquet. 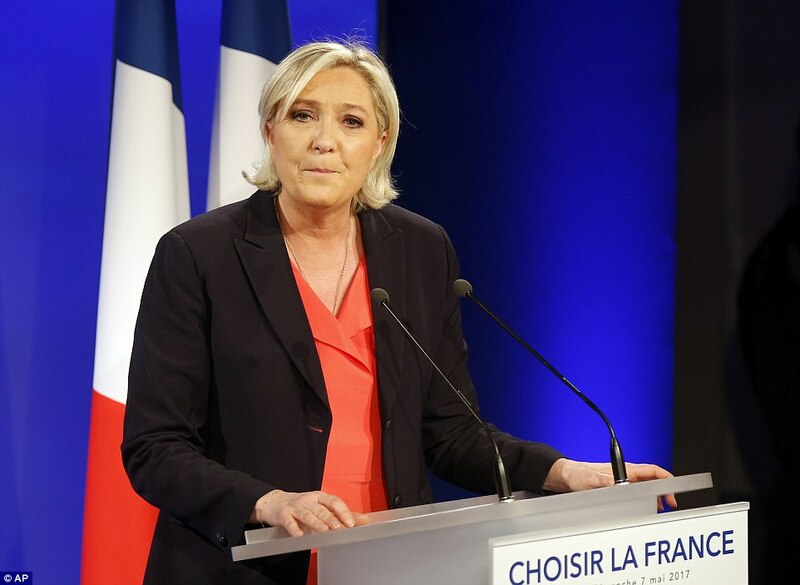 She is massively in favour of Brexit, and wants France to follow suit with its own Frexit vote – one that would almost certainly lead to the collapse of the whole European project. 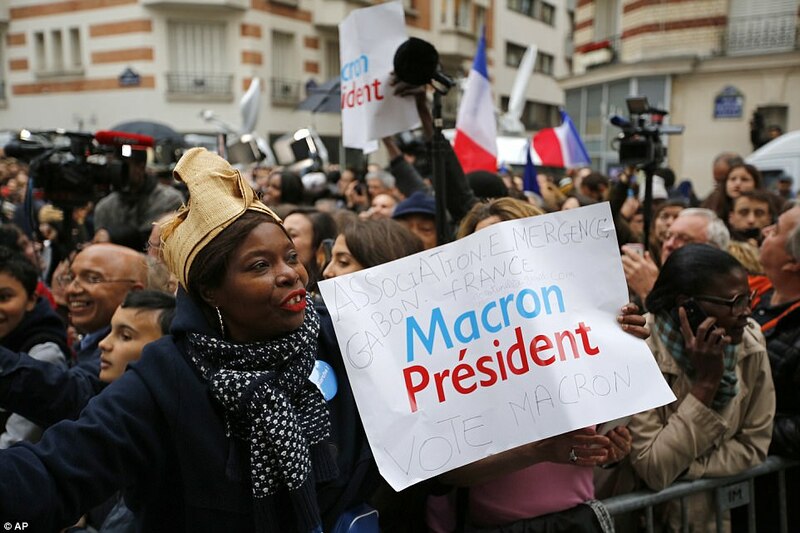 Le Pen has continually failed to win a parliamentary seat in Henin-Beaumont – where she shares a flat with her partner, Louis Aliot – and this is her second failed presidential election campaign. Tonight the couple were attending an FN party at a functions chalet in Vincennes – the eastern Paris suburb where King Henry Vof England died in 1422. Le Pen had been continually trailing Mr Macron in opinion polls since the pair beat off competition from nine other candidates and made it through the first round of voting two weeks ago.